Today I’m bringing you a usefull tutorial about how to clone your avatar in a picture, this turns your life easyer if you want to take a picture with two or more people in it wearing what you want and without calling your friends or turning 2 viewers on, what makes the Secondlife very slow. You can save your time and instead of taking your pictures on studio and going to a land to try to adjust the exactly windlight settings, you should try this. 01. First Step: You need to save the outfit for each look you want to show in your picture, so you can just change the outfit. After preparing the looks I siggest you to purchase Eve N Better’s Camera Assistant HUD if you’re going to be taking photos in an area where you can’t rezz pose balls, pose stands or pose props you’ll really need this hud, this is an absolute necessity ( it’s 10L$ only). This HUD will allow you to lock your camera in place so that you can move around and it won’t follow your avatar! 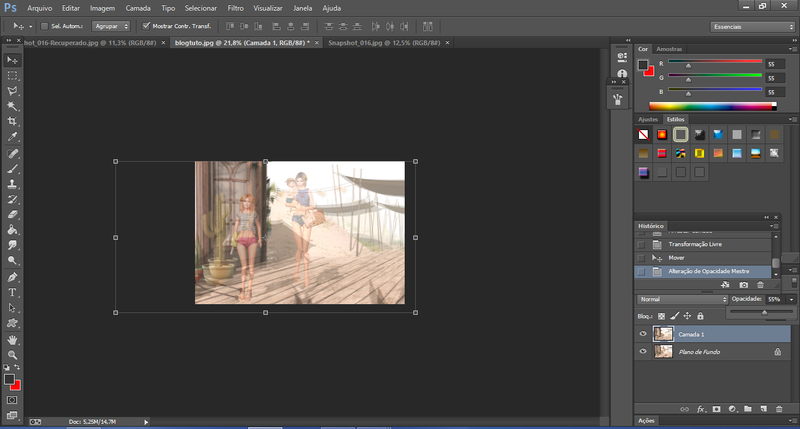 Now choose the place, prepare your windlight settings, an think about the positions of the avatars in the picture. 03. Once you have your first shot, change outfits and then move over to the position in the scene that you would like the second avatar to be at. I wanted the second avatar to be in the left side and more forward. The only thing you are going to do now is to wear your second look and move a bit your avatar. If you can rezz in the land this would be easyer, you can just jump to the other poseball, if you can’t rezz you must press “ctrl-alt-Q” to bring up the Develop menu, now enable: Develop > Avatar > Character Tests > Allow Select Avatar, Press “ctrl 3″ to bring up the edit box ans right click on your avatar and move yourself around. Remember that the rotation does not works so take care, make sure that you are not clicking in something that is going to rotate your avatar. The allow Select avatar also allow you to change other avatar ( this is a very usefull tip for photographers also). 04. Now cut and paste to stick them together, you can lower the opacity of the top layer so that you can easily see the first layer and avoid pasting the second one in the wrong position. Then just use the Square marquee tool to chop off the useless edges on the top image. Once you’ve done that you can select the eraser tool to cut out finer details such as where the avatars will overlap etc. OMGosh!!! This is one of the most useful tutorials ever! Thank you!